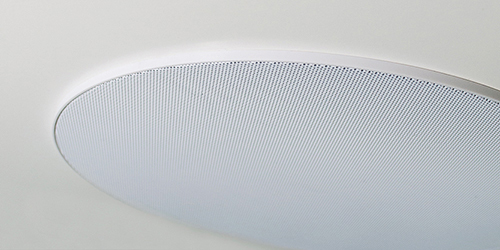 The Loxone Speaker is the perfect built-in multiroom speaker for your Smart Home. Complements our multiroom audio range. As a built-in speaker, it’s very inconspicuous with 3mm slim bars – making it look perfect in any home. The Loxone Speaker is specifically designed to integrate with our apps and multi-room audio set up. 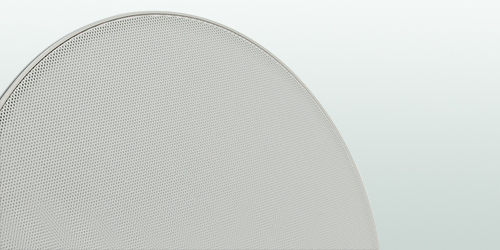 The front covers of the Loxone Speakers are magnetic, so they can easily be removed and attached again (for example, to change from the round cover to the square cover). We’ve deliberately made the covers white and used a type of metal that allows for paint. That way you can paint them any colour to match your home. 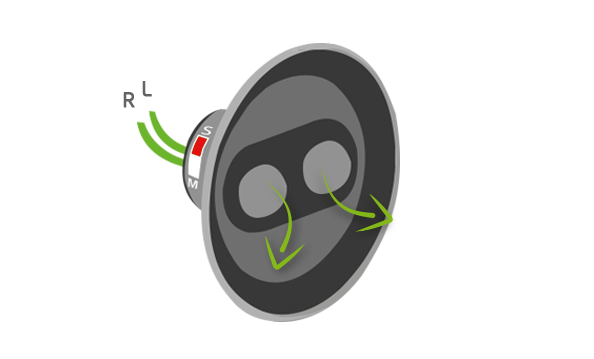 The Loxone Speaker, as a built-in speaker, is specifically designed for a multiroom audio setup. 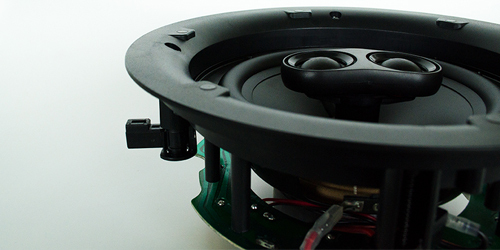 Design features like the strong high density ferrite magnet, the rubber membrane/surround, right cone, the efficient dual voice coil, silk dome tweeters and high quality passive crossover, ensure the best performance and sound quality even at lower volumes. Easy wall or ceiling installation of our multi-room speakers is guaranteed because of our specially-designed brackets. The brackets can be adjusted depending on the wall or ceiling’s thickness and the speaker attached simply and securely. Mono or Stereo? Well, it all depends on the size of the room you’ve got the speaker(s) in. 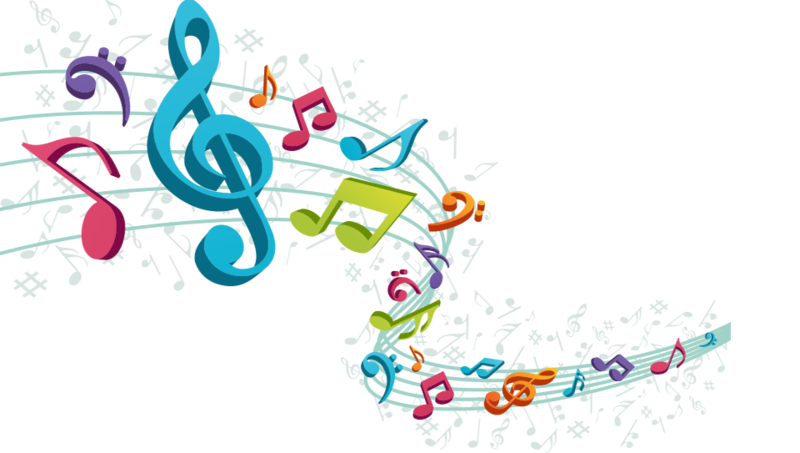 As always – it’s up to you! 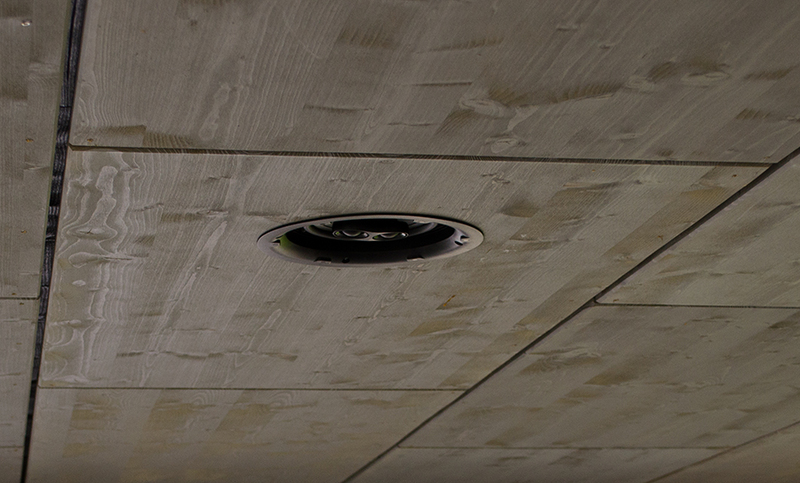 The rubber membrane of the built-in speaker allows for use in protected outdoor areas. It’s weather proof and frost resistant. Living room, bedroom, bathroom… Patio, terrace, garden. It’s up to you!